The military has denied any link to Tahirul Qadri. ISLAMABAD: To Pakistan s ruling party, a firebrand cleric camped outside parliament with thousands of protesters is looking more and more like the harbinger of their worst fear: a plan by the establishment to engineer a “soft coup”. 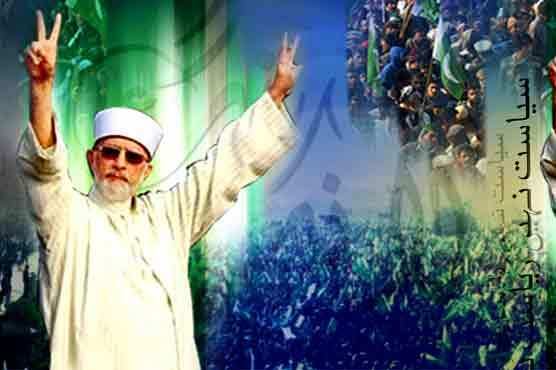 In their eyes, Muhammad Tahirul Qadri seems like the perfect candidate for such a mission. A practised orator who has electrified crowds with his anti-corruption rhetoric, the doctor of Islamic law leapt into action to back the last power grab by the army in 1999. The aim this time, some politicians suspect, is to use Qadri to bring down the current administration and provide a pretext for the handpicked caretaker cabinet. “What we are seeing is dangerous and evidence that the third force is up to its tricks again,” said Mahmood Khan Achakzai, a politician who has been a frequent critic of the army s record of interfering in politics. The military has denied any link to Qadri, and army chief General Ashfaq Kayani has built up a reputation for standing more aloof from politics than predecessors who have not hesitated to dismiss civilian governments. Pakistan has been ruled by the military for more than half of its 65 years as an independent nation. Critics note, furthermore, that the ruling Pakistan People s Party (PPP), which has a long record of confrontation with the military, has often been quick to portray itself as a victim of bullying by the military to distract attention from its shortcomings. But the timing of Qadri s return from six years of living in Canada, just a few months before elections are due, and his role in supporting a 1999 coup by former army chief Pervez Musharraf have nonetheless rung alarm bells. Qadri, who led a convoy of buses carrying thousands of protesters into the capital, Islamabad, on Monday, has repeatedly demanded that the army should have a say in the formation of an interim administration that is due to oversee the run-up to elections in May. “You meet army officers in the night; I m asking that you consult with them on the caretaker set up under the sunlight,” Qadri said in a speech on Tuesday in remarks clearly addressed to the government. The PPP s fears over the potential for military meddling centre on the impending formation of a caretaker cabinet. composition of the temporary administration. by using state power to skew the playing field. acceptable names for the transitional cabinet, including a number of politicians noted for resisting military rule. Meanwhile, military officers privately do little to conceal their contempt for the PPP, whose government has been unable to end militant violence, bring down sharp food price inflation or get the economy on track since it took power in March, 2008. They are also dismissive of the Pakistan Muslim League. as mediator between political factions if the cleric s protests trigger a prolonged crisis. “If this gets worse, then the army may have to intervene (as a moderator),” he told Reuters. After years of suspicion and ill-will between the generals and the PPP-led coalition led by President Asif Ali Zardari, Qadri s protests have seemed to signal a shift in the political landscape, with unpredictable consequences. Fazlur Rehman, the veteran leader of the Jamiat Ulema-e-Islam, Pakistan s biggest religious party, said on television. Minister Raja Pervez Ashraf in connection with a corruption case. Authorities have yet to carry out his instructions. An aide to Ashraf said the military was behind this move as well, but the chief justice is known to be independent-minded. Pakistan for Canada in 2006 will have sabotaged the PPP s bid to be the first civilian government to complete a full term. strong enough to resolve the nuclear-armed country s multiple crises. mandates by hounding the army s political opponents or manipulating elections. appoint a technocratic government to implement reforms. embroiling itself in struggles with increasingly assertive political parties and a hyperactive media. Maleeha Lodhi, a former Pakistani ambassador to Washington. protest, or whether the government decides to order the police to apply pressure to disperse them.